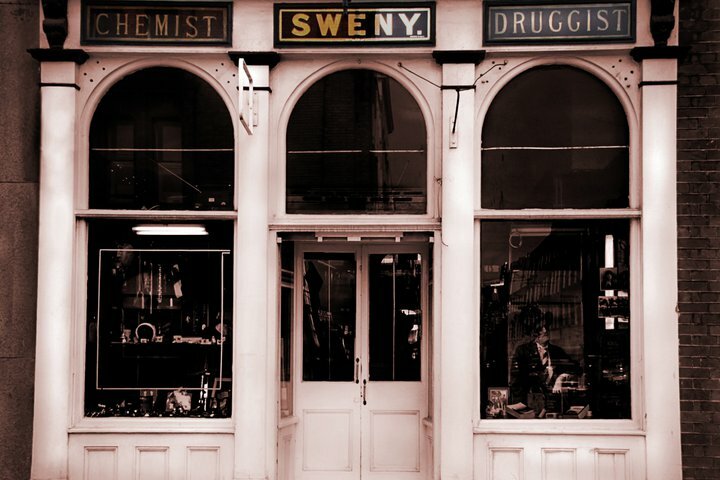 Cristina said: "Located in the heart of literary Dublin, Sweny’s pharmacy is known to Ulysses aficionados as the place where Leopold Bloom goes to have a lotion made, admires the wares displayed on the shelves and buys a bar of lemon soap. 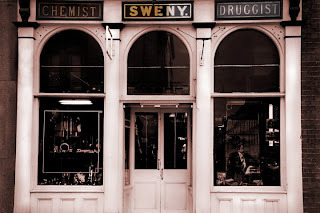 The pharmacy had opened for business in 1853; it kept going until 2009, when it would have closed for good and probably gone the same way as other shops nearby, most of which seem to have turned into rather soulless coffee- or juice-bars. 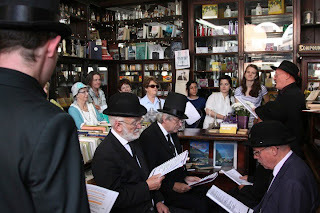 Fortunately, a group of volunteers decided to keep it and its spirit alive, and now the premises double as a small bookshop, a venue for cultural events, particularly readings from Joyce’s works on several days a week, and a place where one can buy both vintage jewellery and the famous soap.